Google Calendar is arguably the easiest, most intuitive and most versatile way to organize your day. The only problem users commonly encounter is syncing it with their devices. While this is dead simple when using Android, and easy enough to view in a browser on a PC, syncing with other platforms is not always so obvious. Here’s how to do it. Syncing your Google account has become more difficult over the last year due to Google’s decision to stop supporting Google Sync for standard accounts. 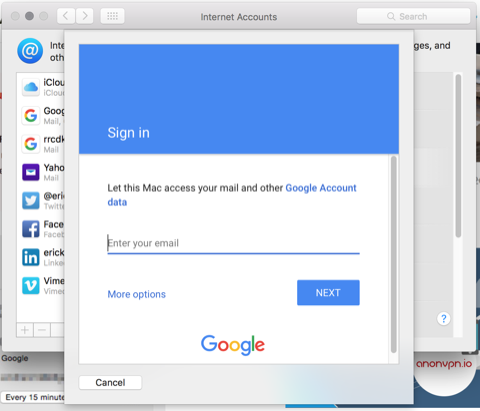 This service let users sync Google accounts with devices over the Microsoft Exchange ActiveSync protocol. However, Google started to phase out Sync beginning January 30, 2013. The company now relies on a different standard called CalDAV. This means there’s a ton of now-outdated instructions for syncing with Google Calendar (and other Google services) that are no longer correct. If you start reading a guide to syncing with Google and it recommends selecting Microsoft Exchange in an options menu, move on. That method no longer works for your bog-standard free account. Except if you’re a user of Google Apps for Business, Government and Education. These paid services retain Google Sync functionality and, as such, the old instructions remain valid. Subscribers to Google Apps also have access to support documentation with instructions for connecting Google Sync to various platforms. This article assumes you’re not a user of Google Apps, and thus have few options for syncing your Google Calendar. There’s currently no way to properly sync your Google Calendar with Outlook, the Windows 8 Calendar app or Windows Live Mail. However, you can view your Google Calendar in these apps. 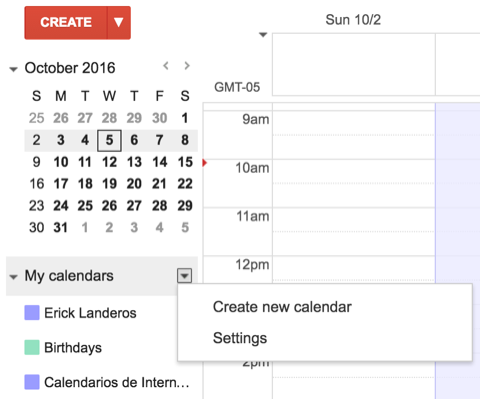 To enable this open Google Calendar in a browser and then open calendar settings using the drop-down box (screenshot, below). Find the Calendar you want to see in Windows and click on it, which will open its settings. Near the bottom you’ll see a “private address” listing which includes XML and ICAL. Click ICAL, then copy the provided URL. 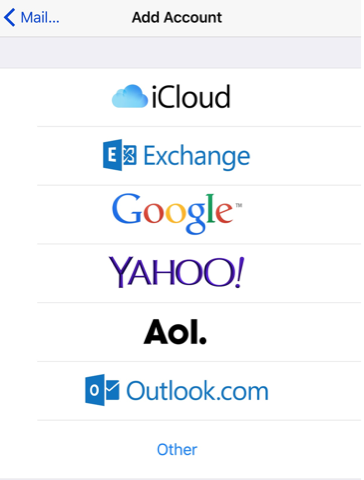 Now, go to Outlook.com and login. Go to your Calendar and click Import, located in the toolbar at the top of the screen. A menu will open with Import and Subscribe tabs, click Subscribe. In the page that appears enter the ICAL URL you copied under “Calendar URL” and then enter whatever name, color and charm (icon) settings you desire. 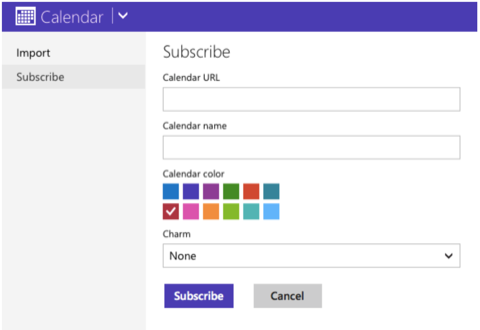 This will make your Google Calendar visible in Outlook.com, the Windows 8 Calendar app and Windows Live Mail (which bundles a calendar for Windows 7). The latter two programs won’t show your Google events unless you’ve logged into them with the same Microsoft account you used to subscribe to your Google Calendar’s ICAL URL. Microsoft’s phone platform suffers the same problems as its desktop operating system. Rumor has it that Microsoft will be bringing new sync functionality that works with Google Calendar in Windows Phone 8.1, but this update is not yet available to the general public. You can sync with Google Calendar via third-party apps, however. The options include True Calendar 8, Cal and Chronos Calendar, all of which can sync with both Google and Outlook. 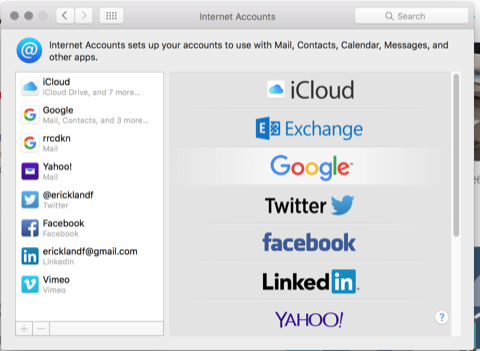 Syncing Google Calendar is the Mac OS X Calendar app is simple. You simply need to open the Calendar app, go to Preferences, then the Accounts tab. Click on the plus “+” button to add your Google account. You’ll need your login and password or, if you use two-factor authentication, an app password. Once synced, individual calendars can be managed using the menu bar on the left side of the Calendar app. You can add and edit events much as you would when using Google Calendar in a browser, as the changes are carried over to the server. However, you must have your Google Calendar selected in the menu when you create an event to sync it with Google. If you instead have iCloud (or some other source) selected at the time the event is created, it will not sync with Google. The OS X Calendar app tries to make this obvious by color-coding your calendar. In my app, for example, Google Calendar is red, which means only red events are synced with Google. You cannot create a new Google Calendar from the app, you will have to open the service in your web browser to do that. Setting up Google Calendar with iOS is simple, too. Open Settings and then tap Mail, Contacts, Calendars. Tap Add Account and, in the menu that opens, hit Google. Enter your login information (once again, you’ll need an app password if you use two-factor authentication) and once you’ve done that make sure Calendars is enabled. You’re done! If things aren’t working as they should, you can troubleshoot Google Calendar and iOS some more. The rules of the OS X Calendar extend to iOS. Events that you create must be created under your Google Calendar; if they’re created in iCloud or some other source they won’t sync with Google. You also can’t create a new Google Calendar from the iOS app. This article contains everything you need to know about syncing Google Calendar. If you know a clever trick not cover here, however, let us know in the comments!